Imagine a small group of friends who are all avid watch collectors and have a passion for luxury timepieces. The group knows every facet of what makes an attractive and high quality timepiece and has oodles ideas on what would make the ideal men’s luxury watch. The group joins forces with a master horologist to discuss concepts and design and after years of preparation and development, the group premiers their very own collection of luxury timepieces. This is the inspirational story of the JS Watch Company. The JS Watch Company came from humble beginnings however, their ideas and vision quickly elevated the small company into a major contender in the world of horology. Being the first and foremost watchmaker in Iceland, the JS Watch Company designs and manufactures every watch by hand making each timepiece unique and exceptional. “Design of the past that can find harmony in the present” is the JS Watch Company’s maxim and one look at their pieces it is obvious that their designs will supersede trends and time. 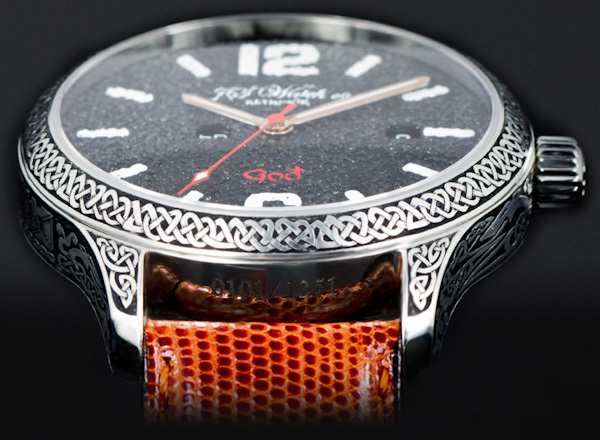 One of the most unique watches in the collection of JS Watch Company’s lineup of timepieces is the Frisland God Special Edition. 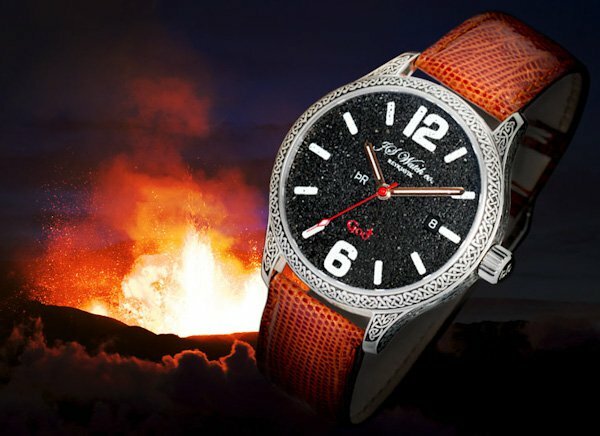 This exquisite timepiece features a dial crafted with volcanic ash from Eyjafjallajokul which is an Icelandic volcano covered by an ice cap. The volcano has erupted several times with the last time being in 2010. 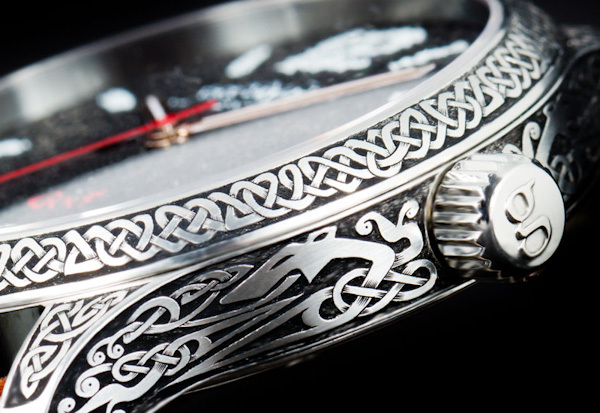 The Frisland God Special Edition’s case measures 42 millimeters and is in stainless steel. The watch also features an automatic movement, hand-engraved mechanical rotor, day and date movement and is adorned with beautiful rose gold hands with an applied luminant. Although the dial made of ashes from the Eyjafjallajokul is quite extraordinary and a rare feature for a luxury timepiece, there are other parts of the timepiece which are equally unique and alluring. The JS Watch Company states that they turned to ancient Icelandic relics for inspiration when creating this one-of-a-kind timepiece. The sides of the case showcases elaborate engraving and Head Letters, an ancient Icelandic font with “Iceland” inscribed on the side. The JS Watch Company declares that the customer can customize this aspect of the watch and have their name or any inscription of their choice emblazoned on the side of the case. Clients can also choose between a lizard or alligator skin strap to complement their exclusive timepiece. 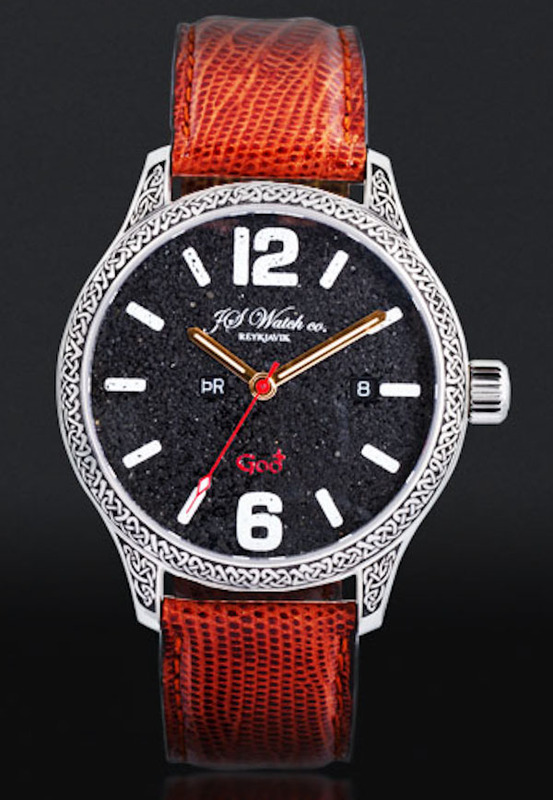 Aficionados of luxury watches will appreciate all of the countless specialized attributes of the Frisland God Special Edition. It is truly a watch collector’s dream come true. Hi, who / where is the dealerships South England. What is the price. Interested for my son for xmas.